This is the information about the updates released on June 2018 for the Secure Transfer. New features for obtaining email addresses of the users who downloaded the files at URLs created on the "Send Files". In cases where the "Identity Verification" feature is enabled, you can check the email addresses of users who have downloaded files. Since this configuration can be changed by HENNGE, please contact the Customer Success Guide if desired. 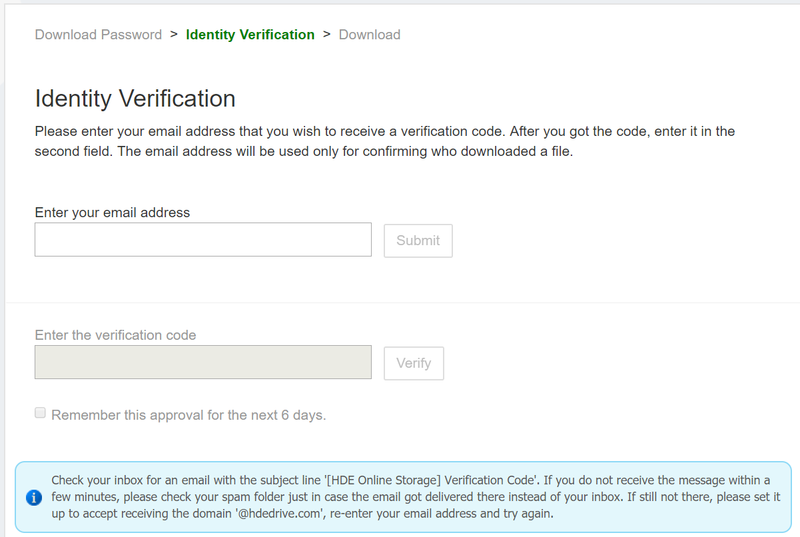 When a file receiver downloads a file, a "Identity Verification" screen is displayed and they are required to enter their email address. The file can be downloaded after entering a verification code which sent to the email address. A file sender can check email addresses of users who downloaded a file on the log of "Sent Files". *Two types of configurations, "Enable" or "Enable(forced)", are available to enable the feature. "Enable" ･･･ A file sender can chose whether or not to obtain email addresses each time. "Enable(forced)"･･･ The identity verification is always required. 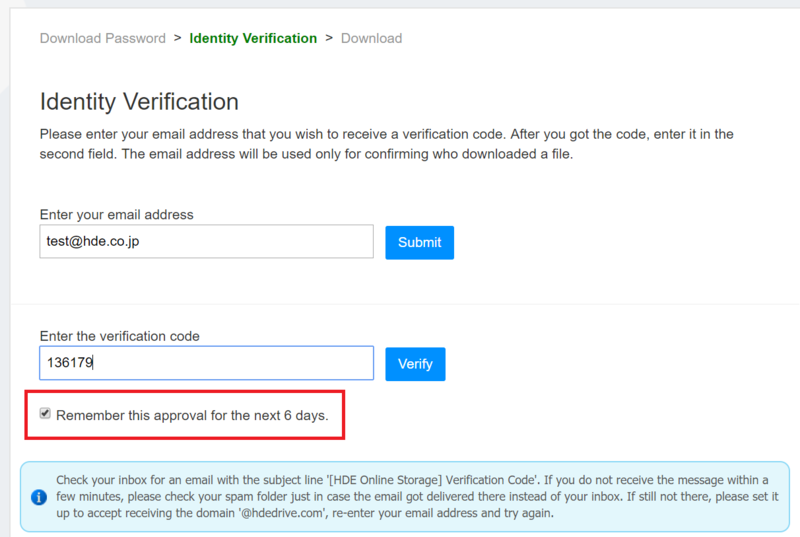 During the "Identity Verification Cookie Expiration Days" period, a file receiver can download a file without re-entering their email address and verification code on the same browser. The value can be changed by a Secure Transfer administrator on the "Management" screen . Please refer to "What are the available configurations that can be made on HENNGE Secure Transfer?" for the procedure. 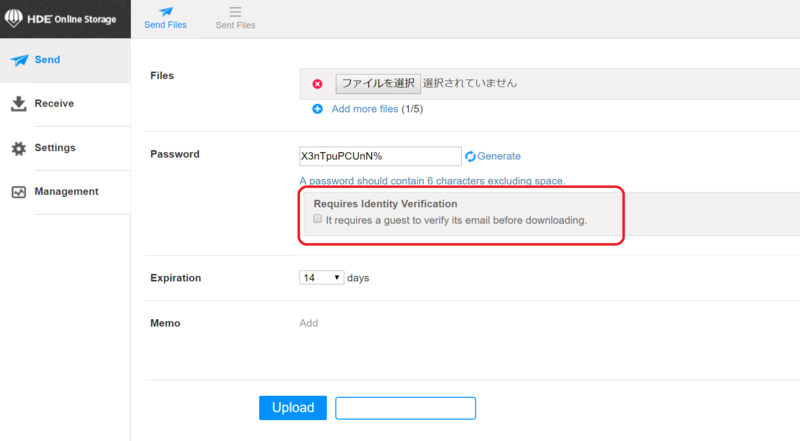 In addition, a file receiver can chose not to keep the verification data by un-checking the item on the "Identity Verification" screen.